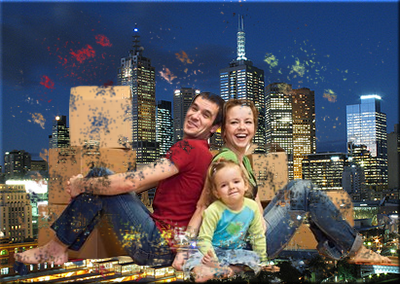 Are you planning to relocate to Melbourne. We can help you to move with no stress. Planning, organizing and shipping to Melbourne from the UK is our is what we do best! There are 4 main destinations among Britons emigrating to Australia. Those are: Melbourne, Brisbane, Sydney and Perth. 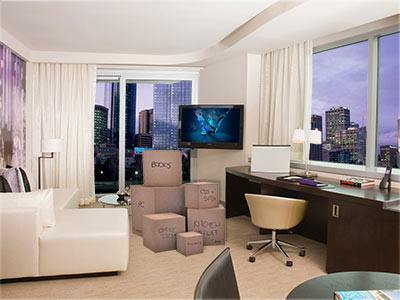 If you have an option to choose the place you are going to live in, and you are considering those destinations this article will bring Melbourne and its characteristics closer. Also by following some links you will be able to find out what are the shipping costs to Melbourne, how your goods can be shipped, what options are available and how long does it take to ship items to Melbourne from London, England and all the UK. A few good reasons why choose Melbourne to live in? Melbourne is a city with a lot of European immigrants. You will find big British, Greek, Croatian, Polish, or Italian community there. In comparison, in Sydney there is more Asian immigrants. Not without a reason this city is called the cultural capital of the continent. Melbourne is a capital and the most populous city of the state of Victoria and at the same time the second biggest city after Sydney with population over 4 million citizens. For two years in a row (2011 and 2012) it was chosen as the world's most liveable city. It was also number one in 2002 and 2004 too. The level of cultural life, diversity of schools for children as well as colleges and universities is the biggest advantage of moving to Melbourne. Comparing to Brisbane it shows other climate and lifestyle typical for its citizens. It is very European place, definitely more reserved than other cities. In this city most of national industries are placed, so this is a good spot for looking for a job. Melbourne is placed on natural bay, Port Phillip and the city centre is on the estuary of Yarra River. The name of the river is taken from Aboriginal and means “ever flowing river”. It is extremely wide and stretches for almost 100km along the shoreline. Why I put these topics together? Well, when looking for an apartment or a house after shipping to Melbourne your beds, tables, sofas, chairs, couches, wardrobes and other furniture you have to remember about its season character. It's rainy and quite cold in winter (10°C) in here. That means you would have to wear a bit longer trousers than shorts and a light jacket. It is an important issue when you are looking for a house. It would be good if it had any kind of heating. In summer Melbourne is very hot (up to 40°C) but dry and many feel better than in more humid Brisbane. Even in summer, the evenings and mornings can be chilly, so you need to be ready to take something to wear and warm yourself up. But gloves and wool cap won't be necessary. Would you like to know what are the living costs in Melbourne? Please contact us if you are moving home and are looking to ship house contanet to Melbourne. We provide all you need to have a stress free removals - free estimate, packing services, kitchen and bedroom furniture disassembly, door to door shipping to Melbourne. A lot of old houses, but not only, don't have any kind of heating system. It can really be a big problem, unless you are a kind of people who are not temperature-sensitive one. Some Ozzies do not see any problem in that. For other, comfort lovers who like to have a warm apartment in winter and cool one in summer it is very important to look for a place in Melbourne with central heating and air conditioning. Sometimes air conditioning is enough, when it is able to rise or lower the temperature as you wish. In here you can find houses with stove in the living room only. That can be to little, and the bedrooms might be chilly. Houses with ducted heating which is very quick and efficient or apartments with a central heating are a good choice. Central Business District is a heart of working in Melbourne. Working as a white collar you will probably commute every day exactly to this part of the city. Its formed by the Hoddle Grid named by its designer, Robert Hoddle. The city is known not only for lots of offices and skyscrapers, but also for historic arcades and lanes, in example Royal Arcade. That shows different face of CBD with cafés, shops, and restaurants. Interestingly, most of tallest buildings (precisely five of six) are placed in Melbourne Central Business District. Going south east from CBD you will reach St Kilda, the most known Melbourne's suburb, named after the schooner that moored in its shore in 1840, The Lady of St Kilda. This district is crowded, sometimes with backpacker, most of the times by Melbournians. St Kilda is a popular, lively, energetic place with lots of little cafés, restaurants where people meet friends, doesn't matter if for breakfast, lunch or dinner. This is the meeting place, full of artist, art galleries, festivals, events and musicians. A must see place in St Kilda is Luna Park, an old amusement park, very popular among Melbournians and the tourists as well. Near Luna Park you will find a famous beach of St Kilda. After being a home for bohemians and subcultures, St Kilda is today quite pricey and the average age of its inhabitants firmly increased. This process is connected with rise in real estate prices. When considering buying or renting an apartment in St Kilda you must know is high-class and exclusive, but very expensive too. Also the removal services in this area of Melbourne do not belong to the cheapest. When thinking about moving to Australia one can not forget about its beautiful shoreline. Moving to Melbourne makes no difference, because amazing beaches are present here as well. There are plenty of beaches in here, with lots of things to do, sailing, surfing, fishing utilities, amazing ice creams, shops and restaurants. That is why we will focus on the best beaches for: families, swimmers and surfers. A family with children will require safe, sandy beach with some amusement for bored kids. Elwood is a good place for that with lots of leisure activities and picnic spots. If you are a swimming passionate, Williamstown or Altona will suit you best, with its extensive no boat area. The water near Melbourne is rather flat, so for surfers suburban Carrum would be the best choice with waves up to 2 meters high. 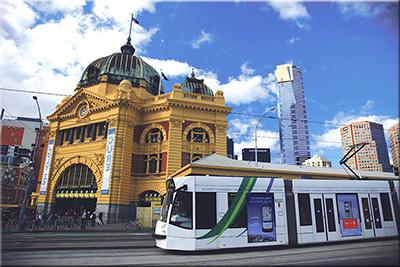 Melbourne has the largest tram network in the world, so think twice about shipping a car. Commuting for work shouldn't be a problem since trams, buses and trains are integrated in one system of public transport. Car can be useful for bigger shopping or going out of town. But when you want to go to work in Melbourne by car, you definitely won't be disappointed, because there is an extensive network of freeways in the capital of Victoria. The city has the largest number of freeways than any other city here. You do not have to worry about delivering your furniture to you new house. The motorways makes moving a house very easy. Thanks to its mild climate and good infrastructure bikes are very popular. On every working day lots of cyclists are waiting in the lights to go from St Kilda, Albert Park, Brighton, Elwood, and others to Central Business District. Alternative is to commute by fast tram, train, car or bus. On some streets there are lanes designated for moving on bicycles only, most of the times there are bike paths. All that improves safety and allows to shorten the time needed to reach your destination. Melbourne launched a city bike hire system in 2010 with 600 bicycles and over 50 docking stations around Melbourne's Central Business District. It is good to know that wearing a helmet while riding a bicycle is obligatory. So maybe instead of shipping a car to Melbourne form London, Birmingham, Edinburgh, Leeds, Manchester or other part of the UK you should consider shipping bicycles and other sport equipment. If you drive a motorbike you should also consider to swap your car for a motorbike. You can contact our office for some tips, advice and help with shipping to Melbourne. 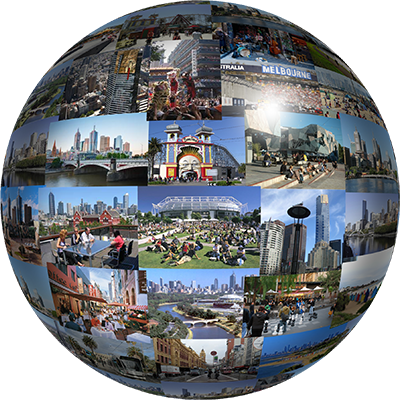 Melbourne is the capital of culture, arts, literature, film, television, and even street art. It is a place where local television and film industry was born. In here the contemporary dance and impressionism were created. And last but not least – this is a home for country's football rules. Art lovers will be happy with National Gallery of Victoria, which is the oldest and biggest public museum on the continent. There many options to marvel live performances by Ballet, Melbourne Symphony Orchestra and lots of theatres playing a variety of plays, comedies, dramas, musicals. Literally anything you can imagine. If you are interested in art you may be interested in antique shipping. For people preferring something lighter – Melbourne is believed to be one of the top cities in the world for street artists. Mural and graffiti's are one of the major tourist's attractions in here. Living in Melbourne makes one able to participate in many annual festivals and venues. There are several events connected with art as well as many linked with sports and recreation. The main are International Film Festival, Melbourne International Arts Festival, and Moomba. Sport is relatively important in Melbourne's life and history. This is not only a birthplace of domestic rules of football, but also it was the first in the Southern hemisphere host city for the Summer Olympic Games, which took place in 1956. Annually, the eyes of the whole world are turned to this city for three reasons. First one is the Australian Open, great international tennis event, one of the four Grand Slam tournaments. The second one is something for motorization fans – the Formula One race, the Grand Prix. The last one is a horse race, the Melbourne Cup with traditional for this sport posh and elegant touch, with ladies in fancy hats and smart-dressed gentlemen. Shipping the Melbourne from London, England and other locations in the United Kingdom is very simple and straightforward as long as you choose a professional international mover to deal with your household goods, furniture, fridge, freezer and other items shipment. Our shipping services to Melbourne include planning, full international packing, custom documentation preparation, door to door transport and many more. We are always happy to advice our customer and choose best solutions to tailor our services to the individual needs of our customers. You do not loose anything by giving us a chance to show you our shipping prices to Melbourne from London, Edinburgh, Bristol, Manchester, Glasgow and all the UK. We can provide as many options for shipping goods from UK to Melbourne as you want. We offer full 20ft, 40ft and part load container shipping that can hold the entire 3 bedroom or bigger house content to part load moves to Melbourne from the UK. Your furniture items, personal effects, kids belongings, clothes and shoes and other stuff can be shipped to by air or by sea. The sea shipping to Melbourne is relatively cheap. The air freight can be very expensive and it is only favourable if you are sending just a small box or a few packages. Why a lot of students from the UK are moving to Melbourne? Melbourne is famous for its high-level education. Especially universities are well known and reputable. To prove its status among world's best places to study the fact that the city has the biggest number of foreign students just after London, New York, and Paris, would be enough. This city is also number four in top university cities in 2008 rank. Higher are only London, Boston, and Tokyo. You must agree that is sounds fantastic. If you are interested here you can find info on how to get a student visa. The two biggest universities are University of Melbourne, which is the second oldest in here, and Monash University, which is the biggest one. They are members of Group of Eight (Go8), an association of best domestic universities. The city is a home of many other universities, in example: The Royal Melbourne Institute of Technology, La Trobe University, Victoria University, The Catholic University, Deakin University, Swinburne University of Technology, and University of Ballarat. Are you already in Melbourne and need a professional local movers? Get in touch with our friends - Removalists Melbourne. They will ship your stuff back to the UK or help your move locally.